What if there were a job where you could laugh, learn, and love? . . . and change the lives of the people you work with - and maybe even your own? Caring for seniors is important work with personal rewards that you can't find in other careers. At Home Instead, you'll meet remarkable people, build fulfilling relationships, and gain wisdom from those who have gone before. We are currently hiring Caregivers to work 20-40 hours per week. 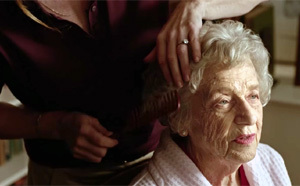 Home Instead Senior Care provides paid in office training so little to no experience is required! Many of our clients need help for an hour or two getting geared up for the day or winding down at night. If you like the variety of seeing several clients in a week and enjoy helping seniors with their personal care, this position is for you! -To honor God in all we do. -To treat each other with dignity and respect. -To encourage growth in ourselves and others. -To build value in our service to others. COME SEE US ON FACEBOOK AND TWITTER!